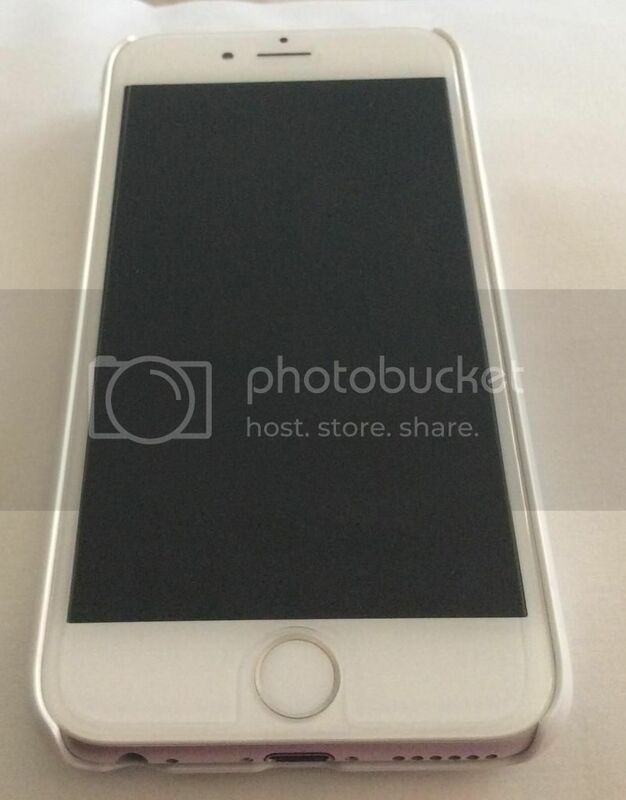 Zagg Glass for the iP6 - how is the fit? Discussion in 'iPhone Accessories' started by rdiz17, Sep 20, 2014. How is the fit for the Zagg Glass protectors for the iPhone 6? Right now I'm using a plastic film but the Zagg seems to feel a lot nicer. I have a Candyshell on my phone, the case just barely covers the edges of the screen. Anyone else using a Zagg Glass with the same case I have? I really like the feel of it. The fit is just about perfect but the very bottom on mine is not fully down. I probably could have moved it up like 1 mm and it would have been fine but it really doesn't bother me. It's so hard to notice that if you weren't looking for it you would never know there was an issue. Wow you are lucky, my fit is terrible. It is not nearly large enough to cover the screen and is both distracting and tacky as hell. Others in another thread said the same. Consider yourself very lucky. Please forgive the horrible quality of the photo (taken with an iPad) but it does show the outline of the screen protector and how small it is. I got an Otterbox Commuter at first, but the fit is terrible and there are gaps where the inner and outer layers fit together, so I returned it for the Candyshell but kept the plastic film from the Otterbox on. The fit is similar to your picture above. I think I'm going to hold off on the Glass until they get the fit better - I'd expect a much better fit from a $40 shield. Yours is slightly crooked and that makes the fit look even worse. I have one on mine. It still isn't wide enough but only by a slight fit. I loved the one I had on my 5S and I trust Zagg to provide an update soon. I have the Zagg on mine it and just covers the entire LCD. The reason yours isn't fitting correctly is because its crooked. The Zagg is big enough to cover the whole LCD, but JUST big enough. Yeah, I did not apply it. When I was at ATT yesterday they took my phone and had a manager apply it. I am going back tomorrow to see if they will replace it. Really, that's a bad fitting, really shouldn't have let you walk out with that, especially a manager. That's pretty much how it's going to be with the curved borders, no? With a case on it, it shouldn't be too distracting. Have yet to get the ZAGG glass though, but probably will when I get me 6+. I love mine. It fits perfectly and feels just like glass. I messed up the install on my wife's phone and had to get a replacement for $6, but mine is perfect. The wet application ones took me half an hour to install most of the time. This one took me 5 minutes tops and it's flawless. Mine fit perfectly, though I had to lift it twice to get it positioned just right for my liking. When perfectly installed, covers the full LCD and about 1-2mm on the sides. Feel and clarity is perfect as well.